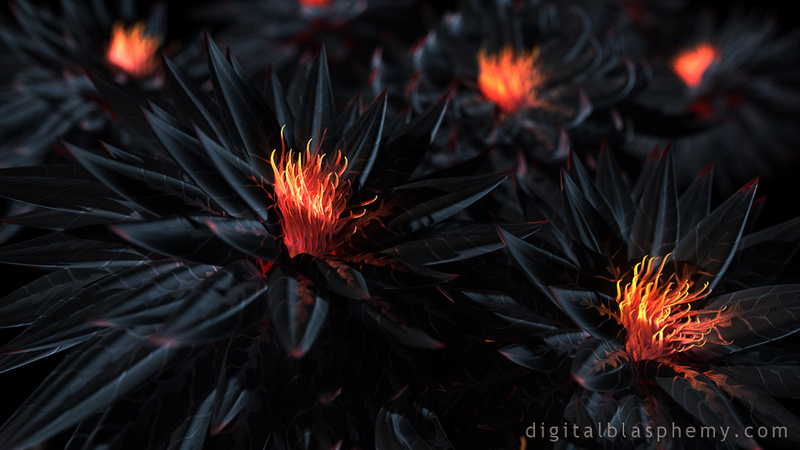 I created these blooms using The Plant Factory for an upcoming landscape project (currently rendering on Shadowfax). 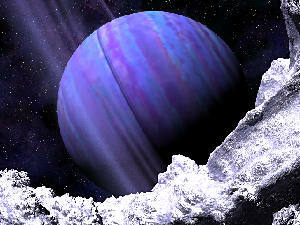 I thought they would make an interesting Lightwave macro render however. When I showed it to Jessie the first thing she said was "oooh Nightshade!" and that sounded like a great title to me. It's not your garden variety that's for certain! Stay tuned for the landscape (rendering now on Shadowfax)! I really like this one. It reminds me of the The Arsenal of Eros you did in 2014. Perhaps Cupid utilizes a little flower power when crafting his arrows? The stamen/pistil and petals respectively each look the part. I love Nightshade! It's my Halloween wallpaper on desktop and my phone. I've had this issue myself. Open the image, sign in if need be, then go back and hit "save as" on the link. It should work then. Which link are you trying to download? "My New Favorite... I think?" The Mushrooms have been my favorite for a long time, until now. Now I can't decide. Great job! I love how this is simple and eye catching at first glance and then you begin to see the details in the leaves. Keep them coming! I really like this one. There is so much detail to look at. The colours are great. Keep it up please. This scene is so well balanced, with a coherent & integrated color palette, and meticulous attention to detail. It simultaneously settles in the background and demands attention. This is why I support the art - flawless! Dark wallpapers like this are just wonderful. "One of my absolute favorites!" I love your renderings like these. The detail is always amazing and it's nice to have a simplicity to it. Really one of my favorites. Would love to see if there are some other color combinations that would look great too! Sorry I missed uploading that one. It's available now! I agree with Eyal and miss having multi-screen versions of some of the recent wallpapers. I hope this one will get that treatment. I love the pop of the orange against the dark background so much! Fabulous - inviting and yet threatening - just the intoxicating mix nightshade needs. I really like the glowing veins in the leaves. From email to wallpaper in .02 seconds... Okay maybe that's exaggerating but this is fantastic. Love the spots of light bright fiery orange on black. I love that it's mostly restful and easy on the eyes with the dark background of the petals and how it makes the fiery orange bits stand out! This would also be great for October! As soon as I saw the thumbnail in my email I knew I must have it. Straight to wallpaper. 10/10! So I just showed this to my wife and she immediately said "I love it", and it would look great on our wall. You nailed it on this Ryan. Love this, the colours really make this pop, so realistic, Great Render Ryan. I don't normally go in for your plant-based images, but you can't really go wrong with this color scheme. And since it's your favorite color, will you be doing an alternate version with blue instead of red? "Wouldn't have thought of that title"
The nightshades that grow around here are silver-grey with pale bluish fruit. Which, having very different cardiac chemistry, the birds love to eat and spread. I'm usually not a big fan of the abstract/plant-based works but I like this one.